The Texas Council of Child Welfare Boards has created Fostering Brighter Futures, a committee within the organization that was formed to spread positive messages about foster care. Their mission is to banish the negative stigma that surrounds foster care which creates a bad perception or hinders people from considering foster care as an option. The board and their committee are dedicated to one overall goal of creating lasting social change that will positively impact the futures of foster children, their for years to come. For our group, the challenge that we had to face was to create a social media style guide for our community partner. Originally, our community partner wanted us to produce the social media content, but with the limited information about their campaign and the challenge of not being in close proximity, we felt that it would be more beneficial to teach them how to use the various platforms while they were getting themselves on their feet. We divided the social media platforms amongst each other and made sure that we all followed the same format. The biggest challenge of this was making sure that we had all of the information they could possibly need in an easy to use platform. We started off the semester brainstorming different ideas to launch a social media campaign for Fostering Brighter Futures. Our ideas included the use of hashtags, potential content, and most importantly the creation social media accounts. As the semester progressed, our ideas shifted into creating a style guide rather than content. Over time, our ideas changed from a style guide into an interactive website allowing for our community partner to reference our strategy whenever and wherever. In making the style guide, each section focused on best practices, and what successful, engaging content looks like. We delegated each platform to specific people, and each platform was then broken down into a dictionary of what to know and how to use each element of the social media platforms. We thought a lot about how to make the website as easy as possible to follow, so we included a lot of pictures and videos to break everything down. 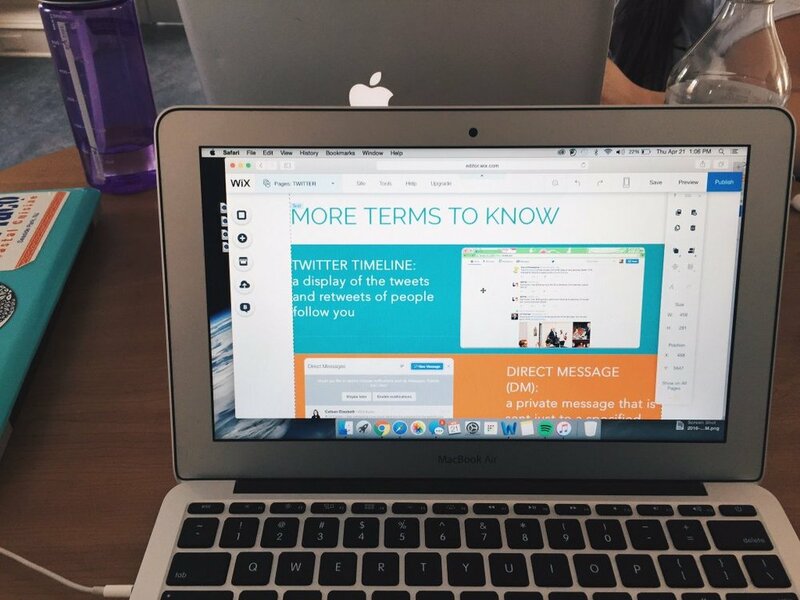 Team TCCWB created a style guide that showcases the best social media practices for the campaign Fostering Brighter Futures. Our team developed a password protected website that goes through each platform: Facebook, Instagram, and Twitter. Each tab illustrates a platform-specific dictionary along with how to’s and example content to act as a model for content creation. We included screenshots, screencast, images, and examples from other successful organizations. Our goal was to give TCCWB the knowledge and resources to empower them to create their own content in the future and cultivate a positive story surrounding the foster care system.